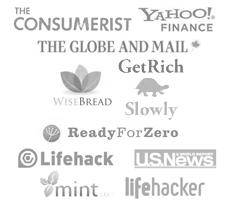 The Truth About Making Money Online - You MUST Read This! Working online- it's all supposed to be great, right? Okay, I won't lie, for the most part it is great. 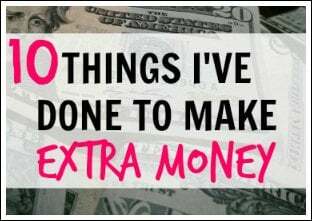 However, there are some truths about making money online that I want to share today. Help tons of people, and more. Many people like to think that owning your own business, making lots of money, and/or working online in a certain way means that you have expensive cars, only travel first class (or even have your own plane), and so on. Due to this, I have had people tell me that there's no way that my business is doing as well as it is, or that I'm making as much money as I am. Well, let me tell you, that's because running your own business and making money online isn't always the way people make it seem. Really, though, it's not that glamorous. I'm actually typing this blog post while sitting in front of a campfire at a free camp site. And, there's a portable toilet right next to me. 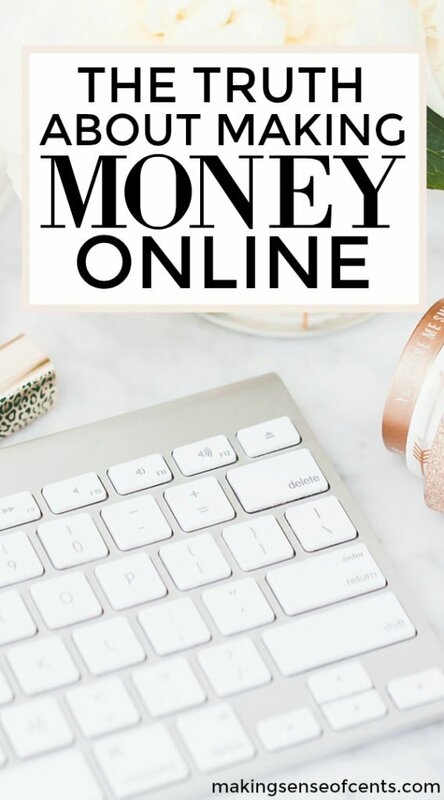 Sure, there are all sorts of people out there living in many different ways, but here are my truths about making money online. Also, I didn't write today's post to scare you. Instead, I want to motivate you to work harder so that you can become successful. I also want you to know that a lot of the things and feelings that have made you possibly want to quit your business are actually quite normal. You just have to keep pushing yourself! Get rich quick schemes aren't real. 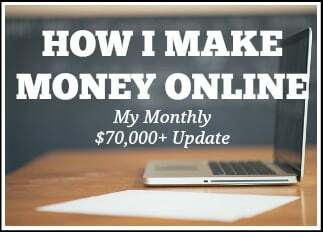 Every month I show you my monthly blogging income reports. I don't do this to make it seem easy. Instead, I want to show you how I make my business work for me, to show you tips for succeeding with your own business, and to show you the amount of work that goes into it. Get rich quick schemes aren't real, and there's no real way to get rich quick without a ton of work. I spent nearly a whole year on my blog and made just cents per hour if you added up all the time I put into it. Yes, it paid off in the end, but there were lots of very stressful moments and sleepless nights. Blogging is a great way to make a living, but you definitely need to put the work into it. If you think you can put the work into it, then I definitely recommend you give it a try! 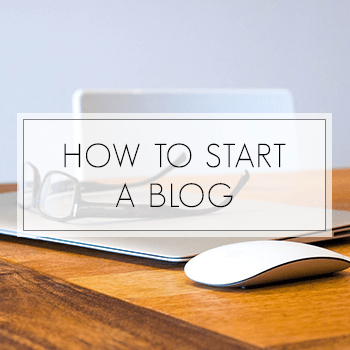 If you are thinking about starting a blog, I suggest starting with my free How To Start and Launch a Successful Blog course. Making money online means that you can work 24/7. The good thing about my business is that I absolutely love everything about it. The bad thing about my business is that I absolutely love everything about it. It's bad because it's all online, which means that I can work ALL THE TIME. If I can work all the time and I love everything about it, it means that it's often hard to break myself away from work. While the work is great, it's never healthy to work all the time. You need to enjoy other aspects of life as well, and take a mental break from work. This is much easier said than done when you work online. Since I can work wherever and whenever, I often forget to eat meals, to sleep enough hours, to spend time socializing with others, and more. You'll wear a lot of pajamas and workout clothes. My most common outfit is a pair of workout shorts and a tank top. I hardly ever get dressed up. If I have to dress up for a video chat, I'm usually just wearing a nice top and still the workout shorts (since you can't see those in a video). Due to my usual outfits, people don't tend to think I work online. I find that funny because everyone I know who works online has this same wardrobe! This is probably the most unglamorous part of working online- you'll forget how to dress properly and you won't ever do your hair or makeup. 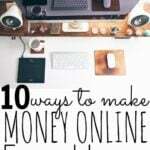 There's no one way to earn money online. With an online business, there's a lot of trial and error. Online businesses are very new, and there's no one calling the shots. Because there's no step-by-step guide that is telling you exactly what to do and how exactly to earn money online, everything is up to you. Things may happen faster or more slowly for you than for someone else who is running a company similar to yours. 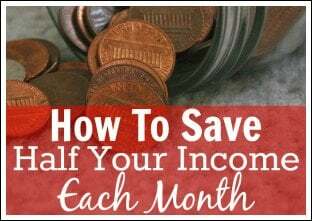 Due to this, there's no guarantee that you'll make money, which is why I always recommend that you save a good percentage of your earnings even if you are making a great living. 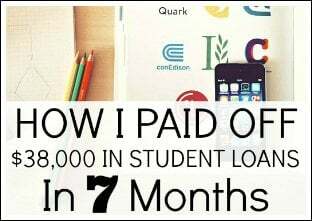 This is why we are saving around 80% to 90% of the income that we earn. Some days you'll feel on top of the world. And other days you'll feel down in the dumps. Online businesses are funny like that. One day you may earn a lot of money, and the next week or two you may not even earn a penny. Or, you may have a great idea, and then the very next day you may feel like you have absolutely no good ideas at all. I want you to know that all business owners feel like this. Certain days you may feel helpless and hopeless, but you just have to push past this part and move on. Everyone has bad days, but you can't let that destroy you and your dream. 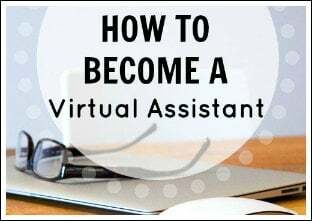 You don't need technical experience to make money online. I'm not a very technical person. I don't test anything, I'm actually quite horrible with computers, and I don't analyze statistics related to my business and how it's doing. This surprises many people, but it's the truth. You don't need to be a computer genius in order to work online. Instead, you can learn what you need to know for your business, and hire out what you can't seem to figure out. That's exactly what I do. And no, it doesn't cost an arm and a leg to outsource the technical tasks. 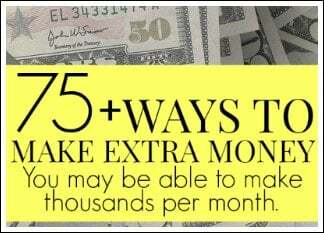 Working online is great and it earns me a great deal of money each month. But, I recommend that you find more than just that to motivate you. Sure, there are many people who are running businesses and their only motivator is money. However, any business is difficult to run, and having another motivator will help you become more passionate about what you are doing. In turn, you are more likely to be successful! I recommend having some other motivator, such as the desire to travel, stay at home with your children, help others, writing about your passion, and so on. You may be lonely at times. Working online is great, but it can be lonely at times. This is because you are often separated from the rest of the world. The “average” person works with others. However, when working online it is usually just you. That being said, I've never felt lonely. My last job as a financial analyst was much lonelier than my current business setup, as I had absolutely no one to talk to at that day job. Now, I can talk to plenty of people online – other online business owners as well as my readers. But, if you are feeling lonely, there are ways to get around this. I highly recommend going to conferences, paying for a co-working space, going to meetups with others in your industry, and so on. You may be able to live your dream life. Five years ago, I started my blog Making Sense of Cents. In that time, it has grown to receive hundreds of thousands of monthly visitors as well as a $100,000 monthly income. Making Sense of Cents has allowed me and my little family to live our dream life, and I wouldn't have it any other way. I didn't write today's post to scare you, instead I wrote it to motivate you to work harder so that you can become successful. 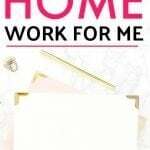 Working online is not a get rich quick scheme, and there are no guarantees that you'll make it full-time. However, with your online business, you may be able to live your dream life. I'm not going to say “You WILL live your dream life” because you may realize that running an online business is not right for you. But, you may realize that it is perfect for you. I wish you the best of luck and I hope you reach your dreams! 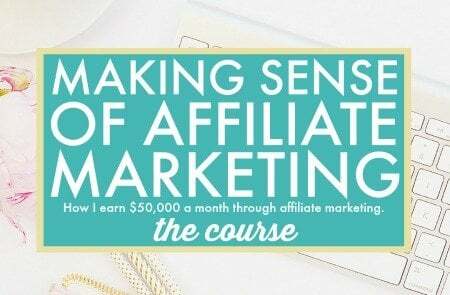 What truth about making money online do you relate to? What don't you believe? Blogging is definitely something that you have to be in the long run for! You have to really enjoy parts of it (like the writing and designing parts,etc) to help get you through the tedious tasks. Your savings rate is freaking awesome!! I’m working towards being able to save 40-50% of my income. Great post!! Sharing now! For me, the ups and downs are definitely hard to deal with. Like you said, some days you’ll feel on top of the world and the next day you’ll feel like quitting haha! My husband always reminds me to look at the big picture, which helps a lot. Instead of looking at daily progress, look at monthly or yearly progress! Hope you have a great day, Michelle!! Haha yes! Looking at the big picture definitely helps. It’s always encouraging to hear your story Michelle. I’m over here, another morning, working in sweatpants again trying to figure out this whole blogging thing and it’s good to be reminded that rewards come with persistence. Thank you! Haha, I love being able to work in sweatpants! Thanks so much for your honesty. I’ve thought working for yourself and working online are often over-glamorized. I think the illusion that you can work just a small number of hours and make lots of passive income often skips over all the 80-hour weeks and the risk and failures it took to get to success. I definitely love working for myself and I could never go back to being an employee, but yes, there’s definitely risk that goes with it! Thank you so much for this post. I have literally felt those emotions and it’s great to know they are normal. I started blogging July 13, 2016. My blog isn’t monetized but my concept is working and I just crossed the $5,000 mark. These are real dollars sitting in a real bank account. I do get ideas and most of them have worked (and then just like you said – you have those days ….) It was so validating to read what you wrote and I found myself nodding my head at each new point. The thing I love about this lifestyle is that the hunt itself – figuring out ways to make money and writing about it – is enjoyable. The money we’ve earned has been the icing. We came up with a few more ideas on the way home from camping on the beach Thanksgiving week and I can’t wait to get to work! Starting with a small sum of money (we chose $5) and growing it 5% at a time. I’m journaling each step on my blog to hold myself accountable and to make a way for my kids to see how I fleshed it out. Hahaha, same here. I feel bad too occasionally. It’s definitely not easy! I admit, blogging takes more time and hard work than I ever imagined, but it’s also more rewarding than I ever expected too. I also think you have to be pretty self-motivated to make it work – there are no hours or expectations set for you. Love this post, Michelle! All your points are spot on. On those bad days, I wonder if I’m even cut out for blogging, and then other days, it’s literally the best job in the world. Here’s to more best days!! Hi Michelle I found you via my friend Simple Made pretty I am very new to this and I was working full time . I have been layoff 5 times now I am looking for job , I am thinking start my blog your post make scene. Could you please help me how to start. Love this post, Michelle. It is amazing to me that we get to live in a time in history when you can have such freedom and the opportunity to work completely for yourself, making great money, all online. It can’t be beat! Thank you for sharing. This is beautiful. Most other bloggers I’ve read encourage you to jump in-it’s easy! But it’s not easy. Thank you for that reminder. 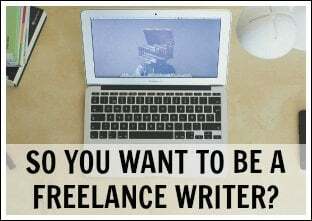 I’m a brand new blogger and in those sleepless nights phase, just trying to get this thing to work and accomplish financial freedom. I know that if I put the time into it, I can really make this work and be able to help others do the same. Thank you for this raw reminder that nobody waved a wand and “made it.” Love you and your work! Thank you Michelle. All your blogs are very motivating and validating for me. You work hard and it shows. Thanks for posting this Michelle! Lots of perks to working online. This is really good to know. I’m trying to develop my blog into an income stream and I totally feel you on the 24/7 commitment! I absolutely love working on it, but it consumes my brain/energy/time so much. It’s not for the faint of heart. I don’t find myself feeling lonely at all after starting my blog. I’ve actually gained quite a community which is great. On the other hand, I still go into the office each day and physically have people surrounding me. It’s a good balance sometimes. I think there are so many great reasons to blog, but it’s good to go into it with eyes wide open. I’ve had to set up “work hours” because it is so easy to let it take over my life. It opens up so many doors, but the ROI in the first year as far as cash is really darn low. I will be thrilled if I break even. =) But the ROI for almost every other aspect is HUGE. Great post! I started following your blog a few months ago and I am loving it. I love the wardrobe piece in this post!! I teach yoga and own/run a yoga studio, so that part totally resonated with me 🙂 Also, thank you for writing about how you don’t have to be the most technical person to still have a successful blog. 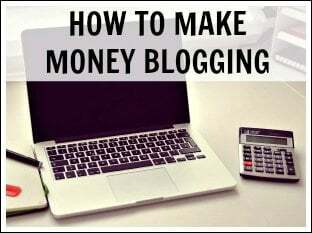 I am rather new to blogging and would love to monetize, but I get scared and paralyzed by the technical side. It’s nice to read that a blogger like you isn’t totally technical either. Long hours is true. Sometimes it can be harder to set a deadline. At least at work there is the “herd mentality” that everybody leaves at a certain time each day. While I work fewer hours and have more dictation over my schedule than my previous corporate job, I still work 50-60 easily each week. Thanks for the motivation, Michelle, to keep working at it. I’d love to get to the point where I’m not location dependent. Congrats on the success you’ve earned! 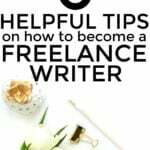 As a new blogger just coming out of my first month, I always have that little dreamer voice instead my head saying you can do this. This article gives you the “real” not just the numbers and this is how I make money but the guts of any business. If we gave up one month in because we didn’t see any results close to a blogger that has been doing it for years that is an unrealistic goal. It all takes time. Just having people keep the dreamers in check helps becuase truth is you could work for years and never reach those types of numbers. I think this can all be summed up to one question, “why are you blogging?” Having those additional motivators is a must in my eyes because if it’s just for money I think people will find it’s not that easy! All businesses take time! Thank you Michelle for sharing your thoughts here! Thank you for the encouraging words! I struggle with perfectionism and thinking I need to know all about SEO, social media strategies, A/B testing strategies, coding and the other hundred things that come with blogging. However, reading this I’m reminded that I’m really just in this to help people to improve their lives and if I focus foremost on that, I’ll be satisfied with my blogging journey. Thanks for the inspiration! Great insight. Grass is greener on the other side but sometimes it’s not. Don’t get me wrong, I absolutely love what I do. I could never go back to having a boss. Thanks for the reminder that it usually takes a lot of hard work before the paycheques start rolling in consistently. 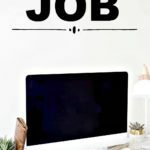 I have seen a lot of new bloggers (1 to 2 months old) that are frustrated with their numbers, and stressing about not making money right away. I blogged for 5 years(?!) purely for the enjoyment of writing down my thoughts and ideas and have just recently (within the last 6 months) started monetizing my blog. I still don’t have huge numbers, but I’m glad I still have the enjoyment of the actual blogging part, not just the making money part of it. Thanks for sharing and for constantly inspiring us! I most definitely relate to the “You can work 24/7” fact. It’s so hard to unplug from work and live my life sometimes. Another struggle I have is that my friends and family think because I’m home, I’m available. I’ve had to set some strict boundaries that they’re not loving right now! Love the honesty of this post and I can totally relate to not being able to switch off running an online business. 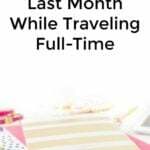 I had to take a full week off with nothing electrical near me to recharge, running my own online business and keeping up with my day job was taking its toll. the hard work will all be worth it when I’m blogging full time from the beach though! I try to think of my blog as a service, not a business right now. I’m trying it out, seeing if I’m helping anyone, and if I enjoy it enough to continue it long-term. It won’t even break even this year, but it’s also important to me that my site not feel spammy. Sometimes I also look at it as a class–a learning experience for me–to learn how to set up and maintain a site, to keep a schedule, to learn how to write, to learn how to tweet, to learn all sorts of other things. So far, at least on this front it’s been a smashing success though I know there’s still a very long way to go. This is wonderful, thank you for sharing everything, and keeping it SO REAL 🙂 ! I have been working towards a goal of having my own online business for awhile now, but need constant encouragement – I am so grateful to you for providing that and the tools to get me moving! I definitely crave more freedom to travel and spend time with the ones I love – that is my main motivator! Just wanted to say I think your blog is awesome! You’ve inspired me to get started on my own. Hopefully one day I can be as successful as you! Yaaassssss TO ALL OF THIS Michelle!! Especially the one about being lonely. Since I’m an introvert, I don’t mind being alone. But, after a year alone I almost went a lil’ crazy. I now make an effort to get dressed, go to the gym, and be social. Otherwise, life is just not as fun. I have saved SO MUCH money by not wearing make up and hardly ever fixing my hair. It’s great!! 🙂 You have some great points here. I’m currently in year #2 of working from home, and I can relate to everything – especially the getting lonely at times part. Thanks for keeping it real!! 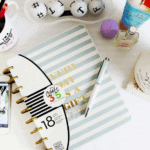 Being a newbie to the blogger biz, I am so happy to follow you and your posts. They are always so up front and this one landed in my lap on a good day. A day where I was about to throw the laptop out the window for lack of ideas. LOL. but here I am like a good girl and just trying to be inspired. I am happy I saved this post to read it. The roller coaster of blogging is new and the social networking for me is VERY new. Thanks for keeping it real and positive! Thanks so much for your time and effort that have been accomplished on drafting this amazing post. You nailed my head by all your truths about making money online thing. Yes all the factors mentioned above are definitely true and happening with me and all the people who are involved in internet marketing industry. Still there`s only one fact remains constant among all those things, however. we need to work hard. There is no magic pill to make money online. Just like any traditional business, it takes effort and time to fortune on the internet. Of course, there are people out there making millions with only 5 hours of work a week in front of their laptops, but I can bet that those millionaires have invested thousands of hours to get to that point. This is inspiring. 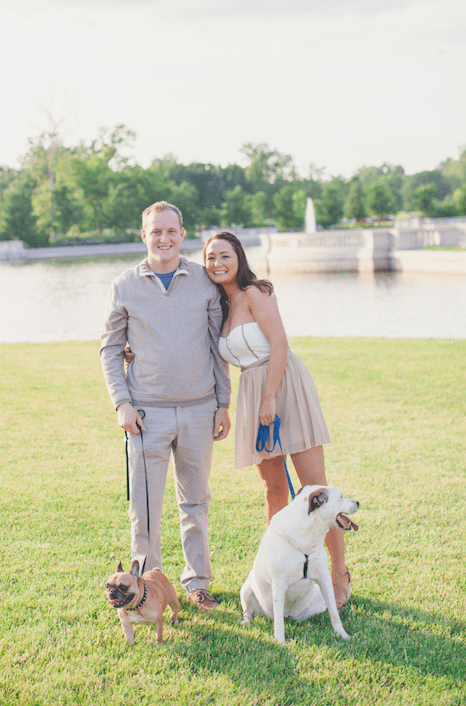 I started a blog a couple months ago and it has been extremely hard work. You’re right, some days I feel great about it, and some days I question why I’m doing it. But you’ve got to push through. That is what separates those who become successful, and those that do not. There is no such thing as easy money. I made my first $4 in one day and it made my entire week. I realize $4 is not a great sum of money, but one step at a time; I’m only 2 months in. This is not an easy path to take. There will be many challenges when you start working from home. 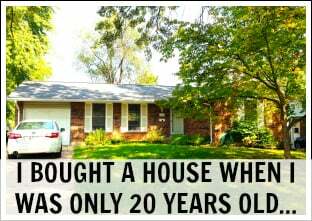 But when it gets going you will find that this is the best way to generate stable income.